It takes some serious stones to tell the world you think a company’s stock is going to zero.That’s probably why Vanity Fair has an awesome piece coming out next month about Bill Ackman and, more importantly, his confidence. 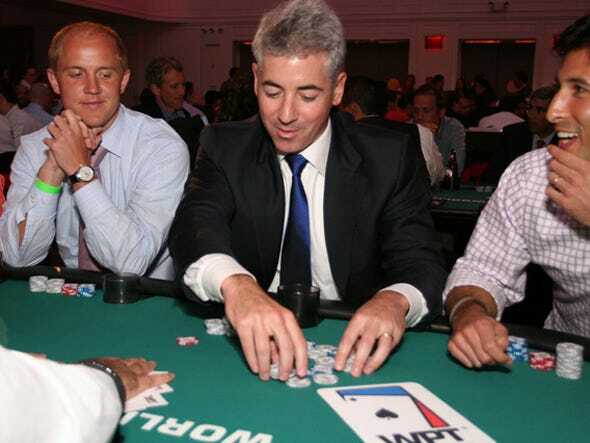 The story is called “The Big Short War” (by William Cohan) and it opens with an anecdote about Ackman’s first big bet. He was in high school and he bet his father all his Bar Mitzvah money (kudos to him for still having it) that he could get a perfect score on the verbal. We’ve already forgotten our SAT scores. Willingly.